BlockShow Americas 2018 has started yesterday in Las Vegas, bringing together more than 1,500 attendees and 80 speakers in the crypto and blockchain industries to discuss widely debated topics on the new technology and its impact on the global community. Specifically, BlockShow speakers expressed their stance at a number of panels such as “Building Democracy on Blockchain,” “Wall Street vs Crypto,” “How Proper Regulatory Development Can Lead us to the Blockchain Future,” and others. Today, August 21, BlockShow will gather major industry experts such as Dr. Nouriel Roubini, the CEO of Roubini Macro Associates who predicted the global financial crisis of 2008, Celsius founder Alex Mashinsky, and legal advisors Mike Miglio and Leslie Katz. The second day of the event features closely studied topics in the industry such as the benefits of crypto, crypto regulations in the U.S., payment technologies, and crypto-based games, as well as one of the most recently discussed questions of a Bitcoin (BTC) exchange-traded fund (ETF). Today’s event will also feature the BlockShow Oscar awards ceremony, where startups are selected by an expert jury based on the originality of their projects. 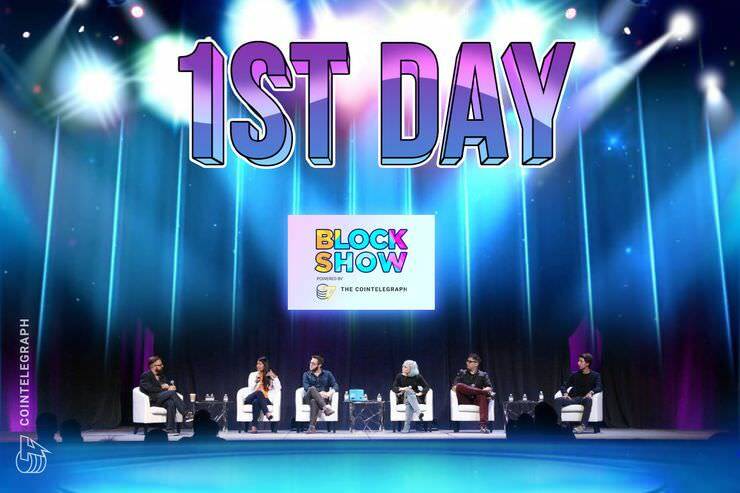 The first day of BlockShow featured a panel about democracy and blockchain, where the panelists were largely in agreement about blockchain’s potential to transform the concept of democracy by enabling higher levels of accountability and engagement. Also yesterday, BlockShow had seen a heated discussion on how the traditional financial space could potentially “merge” with crypto at the panel “Wall Street vs Crypto,” where field experts disputed over the current level of awareness of crypto at major financial institutions and crypto’s susceptibility to criminal activity, as well as the crucial role of crypto regulatory approaches.